Across industries, 3-D printing has stopped being a novelty a while ago. The technique has developed dramatically in the last years, with tremendous improvements in both quality and speed. In the world of interior design, 3-D printed furniture accommodates the designers’ creativity by avoiding the limits imposed by the conventional manufacturing process. 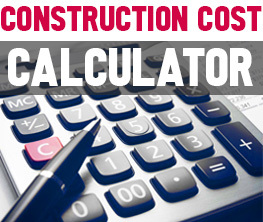 In addition, it proves to be cheaper than taking the traditional production route by avoiding expensive tool costs or modifications, especially when done in small batches. This lounger chair has a lattice structure finished with high-polish copper and chrome, and a curvy silhouette that evokes the lines of a modern sculpture. The best part? It only weighs 5.5 pounds, in case you enjoy rearranging your space or tend to move often. 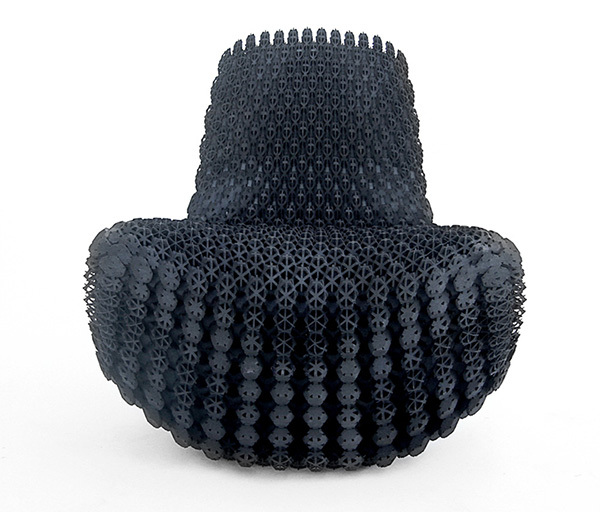 3-D printed chairs seem to become the field of a true creative outburst. 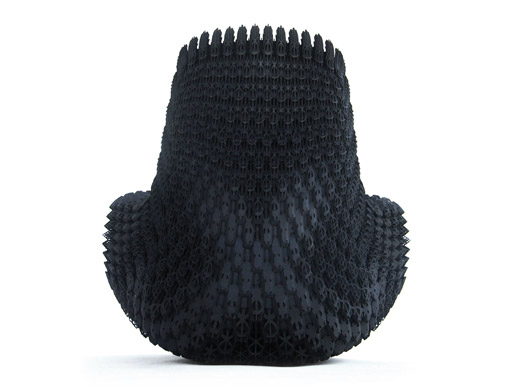 The Gradient Chair designed by Amsterdam-based Joris Laarman Lab is 3-D printed in thermoplastic polyurethane. It retains the solid character necessary at the structural points, yet the surface is soft and flexible, proving that, when it comes to texture, digital production is less limiting than one would think. 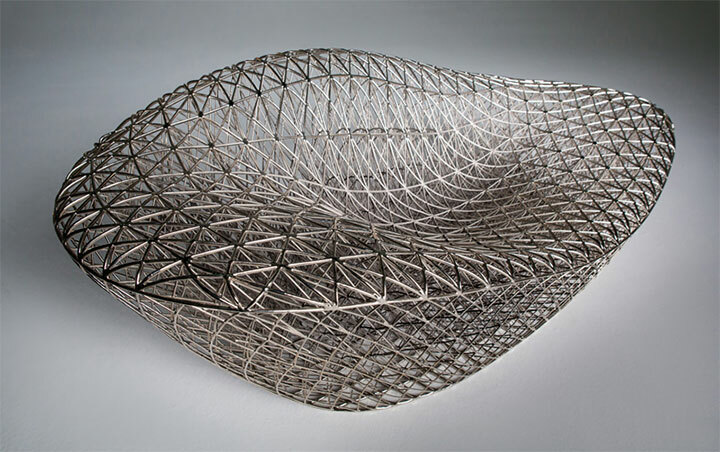 Finally, created by the Belgian designer Peter Donders, Batoidea or the stingray chair, is an aluminum casting piece made using 3-D printed molds. This time, it is not the chair, but the tool used in its production that benefits from the 3-D printing technique. 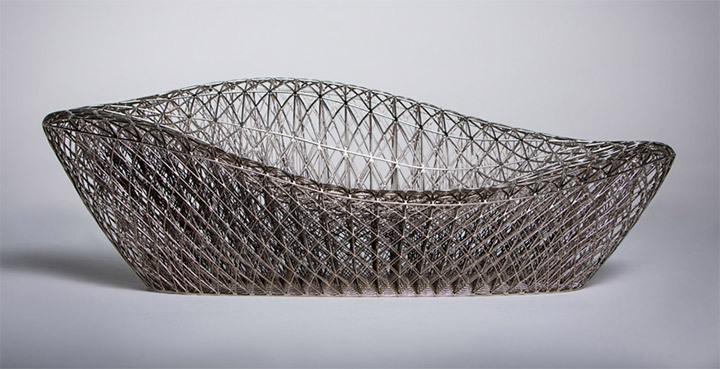 The result is a chair that has the flow and the lightness of a stingray in motion. The no-bulk design is ideal for contemporary minimalist interiors.